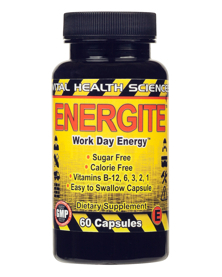 People who have Fatigue report that their energy has increased after taking an Nrf2 activator. Following the testimonials are current research articles that report new information about the cause of Fatigue and how Nrf2 activators can be effective in treating it at the cellular level where it starts. Shirley Davis: My husband and I have been taking Vivix for over two months. My husband who is 82 and in excellent health, used to take naps and go to bed early, sometimes at 8:30. Now he rarely takes a nap and stays up to 9:30 and sometimes 10:00 now. The only thing different in his life is that he is taking VIVIX. Jeremy Bensemon: "When you workout more you're creating a lot more oxidative stress, especially when you're lifting heavy. You're creating more oxidative stress which means your body is not recovering. Your body is taking it's toll as you go along. Whenever you're working out, if you're running, if you're weight lifting, you're metabolizing more. 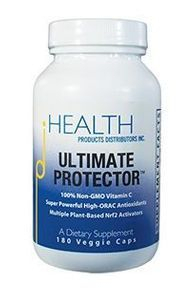 Your body is creating more cells, and those cells are creating more oxidative stress. When you heal you're getting stronger, not when you're lifting. Protandim is reducing that oxidative stress. It's making your body healthier, it's making your body better. Gary: "I'm using Protandim to enhance performance. I work out in the gym. In the last couple of weeks I've been noticing a couple of great things happening for me. Recovery, excellent recovery, and I'm just now starting to get back into running so I noticed there's a little more freedom in running, but the big thing so far has been strength. I've gained a lot of strength, perhaps 15 or 20 percent. That's exceptional. Now I've lifted weights before. I've trained very heavily before. I normally do dead lifts and squats and things of that nature that is well up there, and recovery in the leg exercises is really great at this point." youtube.com, search "Protandim"
Nancy: "I just recently started on Protandim. I take lots of things that help me stay strong and increase my energy. Well, since taking Protandim, I have more energy, and I already had a lot of energy. I play high competition tennis, I have grandkids, and I'm always out doing lots of activities. I have dogs and other interests. Well, I usually had this 11:00 slump. I've had none of that any more. I have no slump at 3. I feel stable throughout the day, and it has helped my sports performance incredibly. Protandim has actually passed the Olympics and the National Pro Football League as a natural sports enhancing substance that is now allowed for use by athletes. It's not banned, so it's kind of exciting. It's been wonderful, and it's only been a few days." youtube.com, search "Protandim"
Donna Clark: I too am in good health and feel good most of the time. The main thing I have noticed after taking Vivix for about 2 months is that I seem to have more stamina. For example, I am 63 and for the last couple of years I have not been able to spend as much time working in my yard/garden as I once could. I would get tired and my back would ache after only a short time. This week I decided to do some fall clean up in my garden and twice, after 3 or more hours of work, I became aware that I was really enjoying it, I wasn't tired, and my back didn't hurt. Keep taking Vivix, it is working even if you can't feel it right now. You may begin to notice something subtle like sleeping fewer hours and still feeling alert during the day. Go to source. Vanessa Nishikubo: I'm a 45-year-old woman and sometimes I have to be careful staying up late. Like going to 2 back-to-back karate classes on just 4 hours of sleep is really asking for trouble. I did that a few times over the last few years with disastrous results. I would feel queasy, faint, and when I'd see myself in the mirror my face would LOOK EXHAUSTED. Which was downright embarrassing because the teacher would always get mad at me for looking like such a blob. Well, I started Vivix on August 14th with my husband. Friday, August 22nd I stayed up until 5:15 am watching old movies and catching up on office stuff etc. I got up today, Saturday, at 10:30 am and felt fine. I matter-of-factly got together my karate gear and the kid's gear and we scooted (literally) over to karate. When I walked into the dojo I noticed it right away. I felt really LIGHT. Not light-headed but I felt at ease, and GOOD! I changed and joined the class and I felt so full of energy, so ready to go! We were stretching on the floor and I saw myself in the mirror and I looked like a person who¹d gotten plenty of sleep. I'm not saying this is going to become my habit of getting very little sleep but I was amazed at how I felt. As the class (which I've taken for 2 year and which is called ENDURANCE) progresses usually I get more and more tired. Usually I hit a plateau when I feel I can't go on. Instead, today I never really hit that plateau. At one point I looked around at the class (by the way we lined up by weight and I was the 4th lightest person in a class of 48 people...thank you Cinch!) and noticed people were covered in sweat and red faced and looking EXHAUSTED and I didn't even feel tired. I wasn't sweating and my heart wasn't pumping like crazy as usual. It didn't feel like a really intense workout. I felt as though this workout wasn't challenging me, and this was unusual. I began at one point doing knee kicks on my own just to up the cardio for me and students in the class looked at me like, 'there goes energizing bunny!' Interesting experience with Vivix thus far. Go to source. Ruth Narveson: I am 53 years old and in excellent health. I'm also very active physically, playing tennis at least 2 times a week for 2 or more hours and riding bike at least once a week for 25 to 35 miles at a 18 mph average. What I noticed with VIVIX right away was I slept better at night and woke up rested. I also noticed my energy level was steady the entire day. I had a pretty good energy level before but this was a different feeling, just a good, strong feeling type of energy. The next thing I noticed was when I did my weekly bike ride I was staying with the pace line. In the past I would ride 2 to 3 times a week and struggle to stay with the front leaders and would always get dropped on the hills. This year because of my schedule I was only able to ride once a week or every other week so my cycling fitness was not as high as the guys that were riding steady each week. After a couple of weeks on Vivix I not only was staying with the front group I was also keeping my place in line going up the hills. Even when I was in top form I could never stay with the guys on hills. The next little thing I noticed is the little spider veins on my legs have almost disappeared and the few that are left have turned from a dark purple to a brighter red. The final difference I would like to share is this past month I have changed my morning routine to where I get up 2 hours earlier and go for either a 2 mile run or a 30 min bike ride inside on rollers (which by the way my average speed on the rollers used to be 16 mph and now it is 19 to 20) and then do 20 minutes of push-ups, sit-ups and stretches. I've wanted to follow a routine like this for over 20 years and have never had the energy or will power to get up at 5am and stick with it. I believe my skin is tighter and firmer as well but it is hard to tell as I look young for my age already. You may not have noticed any big changes to your body but things are happening on the inside at the cellular level. Look for the little things that give you hints of the good stuff that's going on in the inside. How you feel in a few months when your body has a chance to replace old cells with newer younger ones should show results. Go to source. Neuro Endocrinol Lett. 2014 Dec;35(7):577-85. There is evidence that inflammatory, oxidative and nitrosative stress (IO&NS) pathways participate in the pathophysiology of a subgroup of patients with Myalgic Encephalomyelitis/chronic fatigue syndrome (ME/CFS). Increased IgM-related autoimmune responses to oxidative specific epitopes (OSEs), including malondialdehyde (MDA), oleic acid and phosphatidyl inositol (Pi), and nitroso-(NO)-adducts, including NO-tryptophan (NOW), NO-arginine and NO-cysteinyl, are frequently observed in ME/CFS. Autoimmune responses in ME/CFS may be driven by increased bacterial translocation as measured by IgM and IgA responses to LPS of gram negative bacteria. The aim of this study is to examine whether IgM responses to OSEs and NO-adducts are related to a better outcome as measured by the Fibromyalgia and Fatigue Rating Scale (FF). 76 ME/CFS patients with initially abnormal autoimmune responses were treated with care-as-usual, including nutraceuticals with anti-IO&NS effects (NAIOS), such as L-carnitine, coenzyme Q10, taurine + lipoic acid, with or without curcumine + quercitine or N-acetyl-cysteine, zinc + glutamine. We found that use of these NAIOS was associated with highly significant reductions in initially increased IgM-mediated autoimmune responses to OSEs and NO-adducts. A greater reduction in autoimmune responses to OSEs during intake of these NAIOS was associated with a lower FF score. Reductions in IgM responses to oleic acid, MDA and Pi, but not in any of the NO-adducts, were associated with reductions in severity of illness. These associations remained significant after adjusting for possible effects of increased bacterial translocation (leaky gut). Our results show that autoimmune responses to OSEs are involved in the pathophysiology of ME/CFS and that these pathways are a new drug target in a subgroup of ME/CFS patients. Although hypernitrosylation and nitrosative stress play a role in ME/CFS, reductions in these pathways are not associated with lowered severity of illness. Randomized controlled trials with NAIOS should be carried out in the subgroup of ME/CFS patients with initially increased autoimmune responses to OSEs. The Neuro-Immune Pathophysiology of Central and Peripheral Fatigue in Systemic Immune-Inflammatory and Neuro-Immune Diseases. Morris G1, Berk M, Galecki P, Walder K, Maes M.
Many patients with systemic immune-inflammatory and neuro-inflammatory disorders, including depression, rheumatoid arthritis, systemic lupus erythematosus, Sjögren's disease, cancer, cardiovascular disorder, Parkinson's disease, multiple sclerosis, stroke, and chronic fatigue syndrome/myalgic encephalomyelitis, endure pathological levels of fatigue. The aim of this narrative review is to delineate the wide array of pathways that may underpin the incapacitating fatigue occurring in systemic and neuro-inflammatory disorders. A wide array of immune, inflammatory, oxidative and nitrosative stress (O&NS), bioenergetic, and neurophysiological abnormalities are involved in the etiopathology of these disease states and may underpin the incapacitating fatigue that accompanies these disorders. This range of abnormalities comprises: increased levels of pro-inflammatory cytokines, e.g., interleukin-1 (IL-1), IL-6, tumor necrosis factor (TNF) α and interferon (IFN) α; O&NS-induced muscle fatigue; activation of the Toll-Like Receptor Cycle through pathogen-associated (PAMPs) and damage-associated (DAMPs) molecular patterns, including heat shock proteins; altered glutaminergic and dopaminergic neurotransmission; mitochondrial dysfunctions; and O&NS-induced defects in the sodium-potassium pump. Fatigue is also associated with altered activities in specific brain regions and muscle pathology, such as reductions in maximum voluntary muscle force, downregulation of the mitochondrial biogenesis master gene peroxisome proliferator-activated receptor gamma coactivator 1-alpha, a shift to glycolysis and buildup of toxic metabolites within myocytes. As such, both mental and physical fatigue, which frequently accompany immune-inflammatory and neuro-inflammatory disorders, are the consequence of interactions between multiple systemic and central pathways.